Ginza abounds in sushi restaurants, but this one stands out for its super fresh "neta" (toppings of the sushi) and comparatively reasonable price. While other restaurants (including very pricey ones) get their ingredients through slower distribution systems that go through Tsukiji or Toyosu markets and other intermediaries, Haneda Ichiba Ginza Seven flies in the fish from all parts of Japan. This means you can literally have on your plate some sashimi that was caught on the very same day! You can have a sushi assortment such as the one pictured above with free-flowing good quality sake here for ¥10,000. So why do people wait for so long to eat here? It's because you can enjoy traditional, high-end Edomae sushi for only ¥3000. As it is located inside the fish market, the chef chooses the best fish in the morning to make his sushi. The store closes once the sushi runs out, so if you are an early bird, perhaps lining up from as early as 5:00 AM is best! Kyubey is one of the best and most famous sushi restaurants in Japan. You can enjoy the Japanese "omakase", which is a type of meal that consists of dishes selected by the chef. It is great because that way you don't have to worry about what order, but best of all, it means you get to enjoy all of the chef's recommended dishes which are the freshest in-season ingredients. 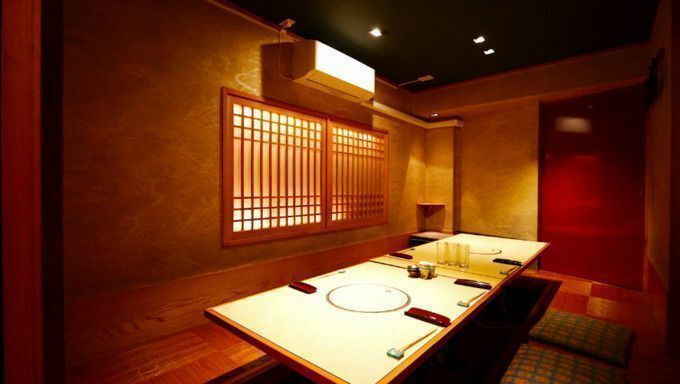 Kyubey has a beautiful and refined interior and is the perfect setting to try traditional Japanese sushi. The courses are priced above ¥10,000 even during lunchtime, but after having one piece, you will understand. They serve the freshest fish of the day, which has been carefully prepared so that each customer can enjoy the fish' optimal and best taste. Click on the link below to find more delicious sushi restaurants in Ginza. Matsue Ebisu is located 2 minutes away from Ebisu Station. You can either sit at the bar table or get individual tables for a group gathering. Sitting at the bar allows you to see the chefs meticulously prepare each dish right before your eyes. If you're only two people, you should definitely sit at the bar for the best experience. During lunch, they have lunch sushi courses ranged from ¥3,240 to ¥6,480, whereas during dinner time they only have the "omakase" which starts at ¥10,800. Although it is not on the cheap side, it is definitely worth every penny! What is more, Ebisu is very chic and beautiful neighbourhood and you'll definitely enjoy wandering the streets after this delicious meal. Miyako is a sushi restaurant located 9 minutes away from Shinjuku Station. It is on the 3rd floor of Hyatt Regency Hotel. As there are only 14 counter seats, the restaurant is very calm and has a cosy atmosphere. It is a great place to bring a date, you are sure to impress him/her! The chef will serve you the freshest and finest sushi dishes. It is recommended to get the omakase course, but unlike other traditional Japanese sushi restaurants, you also have an a-la-carte option. If you don't know what to order, the omakase course is probably the simplest. Sukiyabashi Jiro is a sushi restaurant located inside Roppongi Hills. It is a Michelin 2-starred sushi restaurant, proving its excellent and highly-recognized taste in the sushi that is served. One thing all customers going to this resto should remember is that customers are expected to focus on eating the sushi and to eat quickly. This is the tradition of Edo-style sushi. Also, they only have "omakase" unlike other restaurants introduced previously. This is because they want customers to eat the sushi at the best time of the season! Koufukuzushi is located 5 minutes away from Kanda Station. There are small private rooms for group gatherings, or if you want to eat at the bar seat, you can enjoy watching the chef make your sushi! Again, this is by far the best place to sit for an impressive dining experience. The fish used to make the sushi is carefully selected by the chef from the Tsukiji fish market. You can enjoy, high quality sushi for a rather reasonable price compared to other high-end sushi restaurants. If you want to try the best quality sushi in Shibuya and you are willing to splurge, here is a place for you. Kurosaki is located 7 minutes away from Shibuya Station, and it has a much calmer and classier atmosphere although it is in the centre of the crowded main streets of Shibuya. They use the freshest and most delicious fish of the season to prepare the sushi, and the chef will make it in front of you! They don't accept walk-ins, so be sure you make a reservation beforehand if you want to eat here! 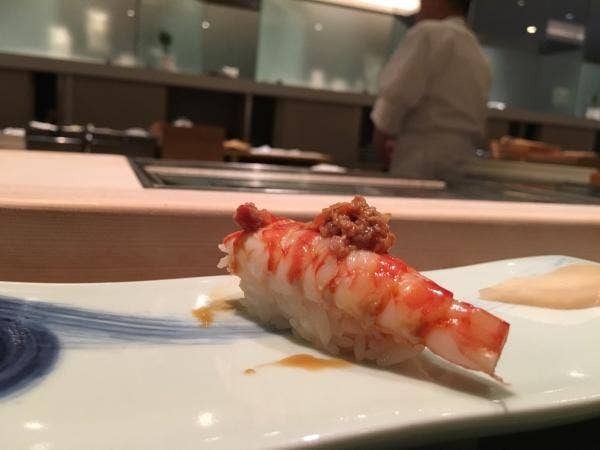 After walking 10 minutes from Asakusa, one of the most populated areas of Tokyo among tourists, you will find this Michelin 1-star sushi restaurant. As Asakusa preserves the traditional Japanese atmosphere, this restaurant has a similar taste when it comes to its interior and vibe. You can enjoy the seasonal tastes of sushi here, but the rice is very special. The chef has a unique way of cooking the rice, which makes the sushi particularly extraordinary! 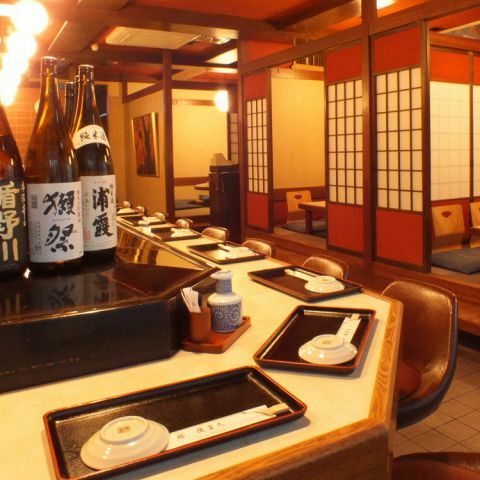 Umi is located 5 minutes away from Gaienmae Station and is only open during dinner time. The workers will welcome you with their loud chants and you will have a unique and fun sushi experience here! It is much livelier than your typical high-end sushi restaurant. Although the price is slightly high, the taste of the sushi is extraordinary. 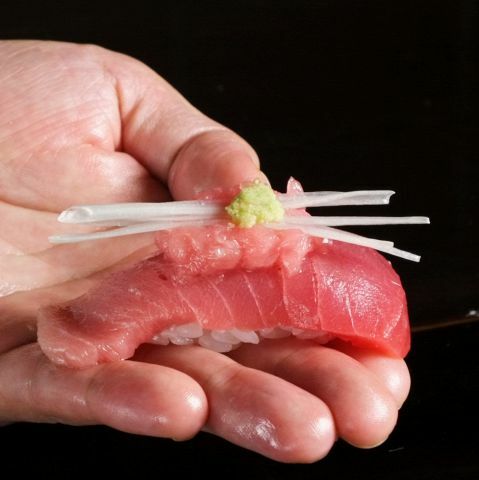 If you are in the Aoyama area and want the BEST sushi, Umi is the place to go! Taku is a sushi restaurant located 5 minutes away from Nogizaka Statio and is also 15 minutes away from Roppongi Station. It has a very classy atmosphere, and you can enjoy a quiet meal in private rooms or enjoy watching and talking to the chef at the counter seats. Unlike other traditional restaurants, this restaurant has a sommelier serving wine and champagne and also sake and shochu. Also, it is unique for being open until 1:00 am, as most sushi restaurants close pretty early. Although preserving the conventional, high-quality taste of sushi, the atmosphere and the concept of the store is more modern. 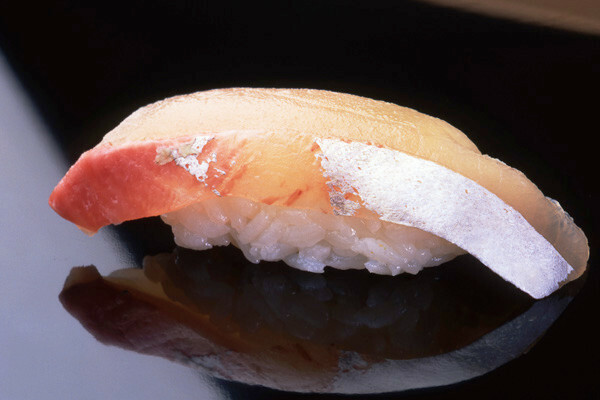 This article reviewed the most high-end sushi restaurants in different areas of Tokyo. Although they are quite pricey, the taste of these sushi dishes is definitely worth the price. It is the perfect occasion to bring a date or to celebrate a special occasion as this will surely be, in more ways than one, an unforgettable dining experience and evening! Be sure to visit at least one of these awesome restaurants on your trip to Japan. You might want to make a reservation in advance as these restaurants are a victim of their popularity.